After a long morning's lie in, MD and L head off to the park while Doggo and I head to the shop for the Sunday paper before joining them. Later L and I go for run around Martin’s Pond which is a blast from the past. The only thing missing is Doggo misbehaving alongside us and I almost feel I should stop at the stream for a drink in his absent honour. I spend most of the rest of the day getting the paperwork ready for my club’s dog show next Saturday. In the evening we go see another of this year’s Oscars’ contenders, Manchester by the Sea and we even do so without alcohol. 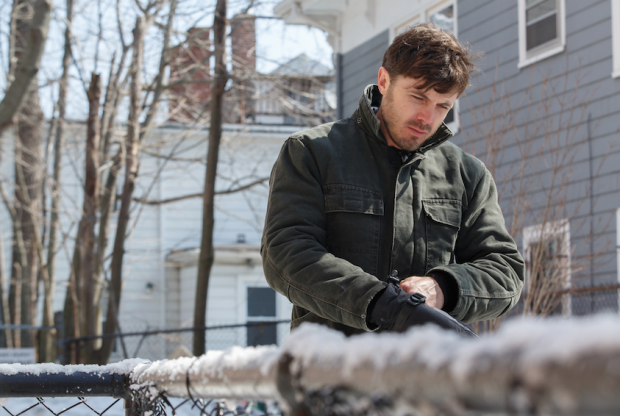 Lee Chandler (Casey Affleck) is a janitor in Boston who spends his days just getting through life and his job while hopefully avoiding any social interaction along the way. While his nights are largely spent drinking alone at home or in bars with a quick fight to round off the evening. We do not know at first what has brought him to this. If he isn’t fed up enough he then hears that his older brother Joe (Kyle Chandler) has died from a heart attack. 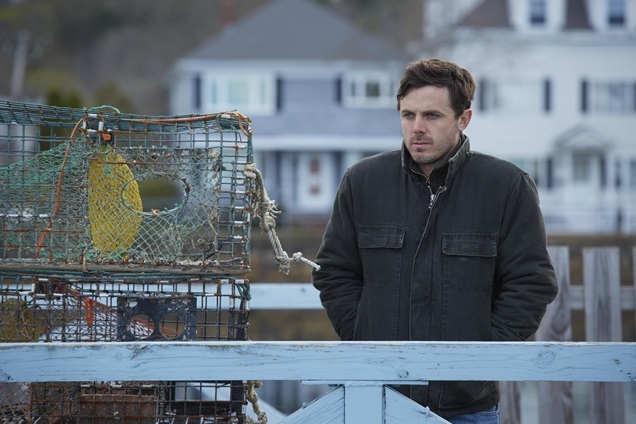 Lee now has to return to his hometown of Manchester, a picturesque place on Massachusetts' north shore, to put his brother's affairs in order but where he also has to face many people from his past including his ex-wife Randi (Michelle Williams). 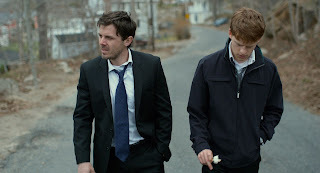 Then he finds out that he has been named the legal guardian of Joe's 16-year-old son Patrick (Lucas Hedges) because Patrick's mother Elise (Gretchen Mol) is an incapable alcoholic. This is a task he feels he’s not up to but he reluctantly takes it on while trying to move Patrick back with him to Boston because he really cannot bear being in Manchester any longer than necessary. Patrick meanwhile is having his own problems coping with his father's death but at least he has his two girlfriends to help him with this. 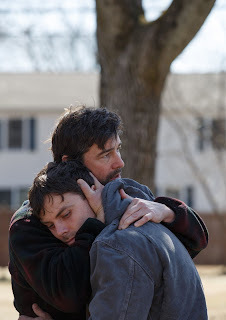 The film moves between the past and the present, showing a time where Lee was content with his life and the present day when he clearly is not. Everything moves along at a slow, measured pace, revealing details of Lee's past bit by bit, drip feeding us the gradual unravelling of Lee’s life until when you're least expecting it, the pivotal event that altered Lee's life forever is casually tossed into the film like a hand grenade. Boom. Once you’ve found why he has detached himself so much from life you're inside his head and you are suddenly watching the film from a very different point of view to where you started. Brilliant. Clearly they needed someone to play this solemn, withdrawn, complex loner who could nail miserable to a T so they sent for Affleck and the role fits him like a glove. He proves that nobody does emotional distancing like him and he's amazing from beginning to end. Michelle Williams is good too in her small role, as are most of the cast, but Manchester by the Sea belongs to Casey Affleck. An absolutely brilliant film. Must see.